If you cannot seem to get ahead of your bills, Zerbst & Kluck, S.C., will help you get back on your feet. At Zerbst & Kluck, S.C., we understand that life doesn't always work out the way you planned. We listen to clients and advise clients according to their needs and goals. We counsel them on all of their options to get back on their feet. Now is the time to do something about your situation, and we are here to help. Each year, in the U.S., there are over 1 million personal and small business bankruptcy filings. The people who take this step come from all walks of life. Some of our clients are simply in over their heads, swamped with debt and tired of collection agencies calling every day. Some have lost their jobs or have serious medical problems that prevent them from working. Others are going through the difficulty of divorce and find their financial lives turned up-side-down. Whether you rent or own your home, have many assets or none, bankruptcy laws are intended to protect you and help you make a fresh start. Zerbst & Kluck, S.C. may be able to assist you in one or more of the following ways: Reduce or eliminate credit card debt and medical bills. Stop foreclosure on your home. Stop creditor harassment Stop IRS garnishments and offer solutions for IRS debt File a personal Chapter 7 or Chapter 13 bankruptcy File a Chapter 128 amortization of debts At Zerbst & Kluck, S.C. we will: Thoroughly examine and assess your current financial situation. Explain all of your options in plain English. Stand by you throughout the bankruptcy process. Make sure you get the best results possible. At Zerbst & Kluck, S.C., we take a personal approach to the law. You will always have access to us to answer questions and you won't be pushed through an automated phone tree. Zachary J. Kluck grew up in the small farming community of Rosholt, Wisconsin, which is near Stevens Point. Zachary did his undergraduate work at Marquette University where he was an integral member of the Marquette Band, serving as President, Vice-President, and Small Ensembles Director. 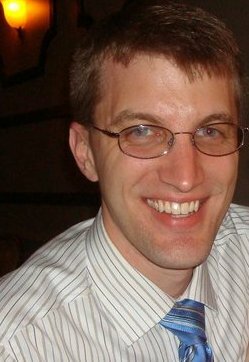 After graduating from Marquette in 2004, he worked for a personal injury firm in Milwaukee for two years. Soon he decided that he wanted to pursue his interest in the law and was accepted to the University of Dayton School of Law (UDSL) in Ohio, a law school renowned for its Legal Profession courses involving legal research and writing. After graduating from UDSL in 2009 with a JD, Zachary came back to his roots in Wisconsin and passed the Wisconsin bar exam. He spent a year in Tomah, after which he moved to the Madison area where his wife is a teacher. He is licensed to practice in all state courts in Wisconsin, as well as the Wisconsin federal district courts. In his spare time, Zachary enjoys golfing, tennis, playing with his two dogs, and watching the Packers.